But in many respects, Western culture has forgotten the power of the narrative process. We have accepted the post-Enlightenment conception of life as linear and readily discernable and thereby lost our ability to make deeper meaning from story. The result has been to wean a generation away from the power of narrative and contribute to the malaise of meaning that is so evident in our culture .This movement has been particularly evident in many evangelical churches where, until recently, a larger emphasis was placed on looking for truth in the seemingly linear statements of scripture than the more narrative and poetic biblical literature, such as the gospels and wisdom writings.2 Epistles that are merely rendered as propositional slogans can provide deceptively strong walls to define our lives by in an age that prizes clarity, predictability, and expediency. Yet such poor readings of scripture will ultimately diminish the potency of God’s redemptive, sustaining grace and mercy to the size of a bumper sticker or the benign beat of a three-minute contemporary Christian pop song. For example, without the poetic narrative imagination that grounds and sustains the biblical canon,3 someone could read Paul’s letters without ever being confronted with the need to search for meaning, locate the proper canonical context, or humbly seek the revelation of the Holy Spirit for our reading of the text. Passages such as “All who sin apart from the law will also perish apart from the law” (Rom. 2:12); “Do not deceive yourselves” (I Cor. 3:18); “Be completely humble and gentle; be patient, bearing with one another in love” (Eph. 4:2); “Do nothing out of selfish ambition or vain conceit” (Phil. 2:3); and “Whatever you have learned or received or heard from me, or seen in me—put into practice” (Phil. 4:9) can seem fairly straightforward and leave the reader with a view that ready-at-hand pragmatism is the central concern of scripture.4 That is, the spiritual struggle isn’t thought to be in the act of interpretation but in how to put what is seemingly plain into practice. Few plot devices feature as prominently in the literary tradition as the quest, which for the purpose of this discussion I define as a chivalrous enterprise in the medieval romantic tradition, usually involving an adventurous journey. 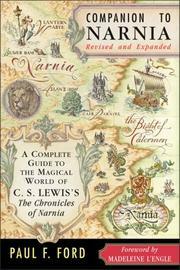 The theme of the quest is one that C. S. Lewis employs prominently throughout his Chronicles of Narnia series, most notably in The Silver Chair and The Voyage of the Dawn Treader. As with most literature, especially in the fantasy genre, the text can engage the reader on multiple levels. For our purposes, there are four primary tiers of meaning a reader can engage a work in that utilizes a quest motif: the literal story level (the story is merely the story), the analogy level (the story is analogous to something else), the moral or character level (the story imparts a deeper meaning for how one organizes one’s earthly existence), and the anagogical level (the story directs the reader beyond itself, beyond comparisons or analogies, and beyond the earthly concerns of the moment toward a religious or mystical transcendence and deep awakening of Sehnsucht or joy).7 As we shall see in The Silver Chair and The Voyage of the Dawn Treader, Lewis carries the reader not only through the literal level of a quest story, but to an anagogical level where faith formation can take shape. This anagogical level is in the tradition of Sir Thomas Malory’s “The Tale of the Sangreal” from Le Morte d’Arthur, where the quest for the Holy Grail provides a lens for our search for meaning as one “looking through a glass darkly” to view humanity’s broken nature and search for truth. As author Madeleine L’Engel writes, “there is an allegorical level to his [Lewis’s] stories, and, when he is at his best, an anagogical level”8 It is through Lewis’s use of the quest that the reader can engage in not just a story, but a what I refer to as “the life poetic,” where the truths found in the literal quest can be carried into the reader’s real-world quest for ultimate meaning. In both accounts, the healing vision of Sir Lancelot to partake of the Grail and the de-dragoning of Eustace under the claw of Aslan, the true quest speaks not only at the literal level but also at the anagogical level—contact with the Holy is the key to healing and wholeness. “I would sail east myself for a year and a day to find my father’s friends [. . .]. But Reepicheep here has an even higher hope.” Everyone’s eyes turned to the Mouse. Reepiceep’s high hope of finding Aslan’s country represents just one example of how the literal level of adventure in The Voyage of the Dawn Treader and The Silver Chair transports readers to an anagogical experience. In turning to scripture, the narrative examples of the quest abound. What does it look and feel like not to know exactly where God is leading me? The narrative of Abraham being called by God. What does it look and feel like to be led astray during my personal quest? The narrative of Job’s temptation from his friends Eliphaz, Bildad, and Zophar to turn his back on God due to his great misfortune. What does it look and feel like to abandon my personal quest set forth by God? The narrative of Jonah. What is it like to trust God in the face of overwhelming odds? The narrative of David and Goliath. What does it look and feel like to have God call you on a quest that seems irrational? The narrative of Gideon’s circling the walled city. And what will it be like to return to my quest after searching for meaning apart from God? The parable of the Prodigal Son. In this way, MacIntyre reminds us that the human life is framed by unity and not discord. But this is a narrative unity rather than merely the reflection of data points that populate our days. What seems random and haphazard is instead the effect of plotting the meaning and context of our lives on too limited a canvas. For our lives to move toward that for which we are created, we need to embrace the reality of fiction in our existence—the reality that much of what is truly real and enduring requires an imaginative leap as much as a critical and reasoned reflection. Turning from the role that narrative plays in providing a direction for the life quest, we see that narrative is also capable of moving us from suffering to acceptance of the potential healing and redemption that are found on the quest. In Fyodor Dostoevsky’s short story “Notes from the Underground,” the protagonist states that the only true proof of our existence is through our pain. He argues that whereas everything else in life can be argued to be an illusion, no one would purposefully choose pain; it possesses a self-identity apart from our id impulse to pleasure and is hence a verifiable reality. Lewis argues that pain is “God’s megaphone to awake a sleeping world.”27 He sees pain as God’s means of grabbing our attention and showing us how much we need him. It is through narrative, in this case fairy tales, that children learn how to engage themselves and understand social structures and reality. When deprived of the right kinds of narrative, children will not fully assimilate salient developmental questions such as “Who am I?” “Where do I come from?” “How did the world come into being?” and “What is the purpose of life?” Without such questions being asked early on, a child’s world will remain, on many levels, an unresolved chaos of mystery and pain. Second, the use of narrative provides a template to organize pain in a way that can be constructively expressed and therefore released. Therapists utilize open-ended questions as a means of drawing people out of their pain and learning to express what’s going on internally. Statements such as “Tell me about your first childhood memories,” “Tell me about your relationship with your father,” and “Tell me about dinnertime with your family” are representative of this notion. In this “tell me” framework, adults can create a safe environment, like an internal cinema, where children can watch the events and circumstances of their pain unfold before them as both player and spectator. Writer and theologian Eugene Peterson suggests that life “is not managing a religious business but a spiritual quest.”36 Yet without the challenge of the quest, many in our society settle for the pithy and the quaint rather than the mystery and the wonder that is the fullness of the life poetic in God. We are members of a disillusioned society. People in Western culture have been force-fed bumper-sticker slogans for the past five decades and lost their sense of spiritual mooring, both in regard to community and themselves. Propositional Pop Psychology has stripped much of the dynamic flesh from our humanity, yet it is merely a symptom of a deeper societal sickness—fear. Yet if we situate our uncertainty in the tension, if we strive for faith rather than propositions, and if we embrace our suffering not in isolation but in communion with our brothers and sisters, we will reside in the uneasy yet necessary middle perspective of humility, welcoming grace and mercy. And then we can begin the process of integration both with our neighbor and God. This unity of all things—the integration of particular life stories into the grand narrative of all things for the healing and redemption of both self and world—is the summative attainment of the quest narrative. It is the acknowledgement that the healing of one will in part be the healing of many—the land and the king are one—that offers a powerful reminder as to the role that our particular stories will play as they become interwoven into the lives of others. Similarly, the context for the healing and redemption of the world is in part not necessarily far off. As with the illumination of Percival, it is never what we have lost, but we have forgotten that becomes vital in the life poetic. In Luke 22:19, when Jesus gathers his disciples together in the upper room and institutes the Eucharist, he does so through binding himself to the Passover as its source and substance by stating that “This is my body broken for you [. . . .] This is my blood that has been shed for you for the remission of sin.” He moves into the space of salvation for our world intimately rather than merely being a spectator from a distance. As Christ pours himself out into this, he calls the disciples to now do this work as well in verse 19: “Do this in remembrance of me.” This type of work—do this—is rendered in the Greek as poiete—the word that is the cognate for our English term poetry. This is a deeply creative term that goes to the heart of what it means for us to be God’s people in these dark and desperate times. This is our identity in the world as we hear in Ephesians 2:10, “For you are God’s workmanship (poiete), created in Christ Jesus, to do good works which God prepared in advance for us to do.” At the very heartbreaking reality of who we are—we are called to a life of direction, release, and ultimate integration with our Creator—a poetic integration that is prepared in advance for us to do. This is what it means to be on the quest and embrace the life poetic. The story is our story, yours and mine. As Percival understands through the beatific vision, our lives, our stories, are intimately interwoven into the stories of this world. The healing of the world in part begins with the healing and redemption that is readily at hand in our own lives and then committed to the world as confession and testimony. Additionally, unless we are willing to deeply read the life poetic that we have been given and of those around us, we will be left only with a shadowy tale that is without flesh and blood. This is a challenge to our reading of scripture as well. It is on one level about a man with an ark, a man interpreting dreams for a king, a pearl of great price being found in a field, a women who receives the word that she will give birth to the living Word, a man lost beside a pool who has found his sight, and young English schoolchildren asleep in the mane of a lion in a land whose signature is an ever-lit lamp post and a broken stone table. On the other hand, it is about faith, miracles seen and unseen, reaching out to the neighbor, and glimpsing God with eyes of child-like wonder. As Mark put it, “He did not say anything to them without using a parable” (Mark 4:34). In looking at the power of Christ’s ministry as a life poetic, it is small wonder he communicated so much in narrative. 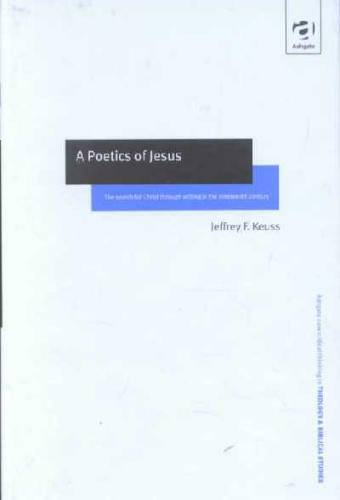 Click the images at the bottom of the Notes section to purchase books by Jeffrey F. Keuss, C. S. Lewis, Thomas Malory, and others from Amazon.com and help support The Other Journal. 1. H. Richard Niebuhr, “The Story of Our Life,” in Why Narrative? : Readings in Narrative Theology, eds. Stanley Hauerwas and L. Gregory Jones (Grand Rapids, MI: Eerdmans, 1989) 29. 2. See James Wellmen, Evangelical vs. Liberal (New York, NY: Oxford Univeristy Press, 2007). 3. See Walter Brueggeman, Finally Comes the Poet: Daring Speech for Proclamation (Minneapolis, MN: Augsburg Press, 1989). 4. Unless otherwise noted, all scripture references in this essay are from the Today’s New International Verison (TNIV). 5. Frederick Buechner, The Clown in the Belfry: Writings on Faith and Fiction (New York, NY: Harpercollins, 1992), 44. 6. See Frederich Schleiermacher, On Religion: Speeches to its Cultured Despisers, trans. John Oman (New York, NY: Harper Torchbooks,  1958). 7. The Victorian poet and essayist Matthew Arnold referred to the German Romantic notion of Sehnsucht as a “wistful, soft tearful longing” in On the Study of Celtic Literature (New York, NY: Macmillian, 1907), esp. 117-118. This notion of a “wistful, soft tearful longing” is evident throughout much of Lewis’s writings. For further exploration of this four-fold deep reading of texts highlighted in the thirteenth century, see Robert Sweetman, “Micah 6:8 as Spiritual Exercise in the Search for a Christian Excellence,” The Other Journal 12 (2008), https://theotherjournal.com/article.php?id=385. 8. Madeleine L’Engel, “Forward,” In Companion to Narnia, ed. Paul F. Ford (New York, NY: Collier, 1986), xiii. 9. An excellent review of the place of the quest in comparative literature is Joseph Campbell, The Hero with a Thousand Faces, Bollingen Series 3rd edition (New York, NY:New World Library, 2008). 10. C. S. Lewis, The Silver Chair (New York, NY: Macmillian, 1952), 18-19. 11. C. S. Lewis, The Voyage of the Dawn Treader (New York, NY: Macmillian, 1952), 16. 13. Lewis, Silver Chair, 19, 21. 15. Lewis, Silver Chair, 157. Italics are in the original citation. 16. Lewis, Voyage, 75; 87, 88. 18. Thomas Malory, Le Morte d’Arthur, ed. by Keith Baines (New York, NY: Bramhall, 19888), 365. 20. Malory, Le Morte, 376. 21. Lewis, Voyage, 90, 91. 23. C. S. Lewis, “The Morte D’Arthur,” in Studies in Medieval and Renaissance Literature, ed. Walter Hooper (Cambridge, UK: Cambridge University Press, 1966), 109-110. Italics in the original. 24. Marjorie Evelyn Wright, The Cosmic Kingdom of Myth: A Study in the Myth-Philosophy of Charles Williams, C. S. Lewis, J. R. R. Tolkien, Ph.D. dissertation (University of Illinois at Urbana-Champaign, no. 0090, 1960), 65. 25. Frances Gies, The Knight in History (New York, NY: Harper and Row, 1984), 76. In particular, Gies is referring to the work of Wolfram von Eschenbach and the various depictions of the Grail quest through centuries upon centuries of reimaging the quest in song, poetry, and painting as the context for providing a map for life’s search. 26. Alasdair MacIntyre, “The Virtues, the Unity of a Human Life, and the Concept of a Tradition” in Why Narrative? Readings in Narrative Theology, eds. Stanley Hauerwas and L. Gregory Jones (Grand Rapids, MI: Eerdmans, 1989), 104. 27. C. S. Lewis, The Problem of Pain (New York, NY: Macmillian, 1938), 45. 28. 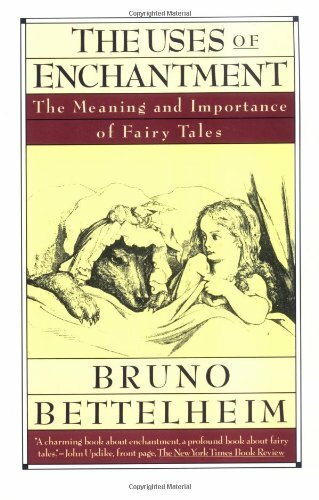 Bruno Bettelheim, The Uses of Enchantment: The Meaning and Importance of Fairy Tales (New York, NY: Penguin Books, 1991), 74-75. 29. 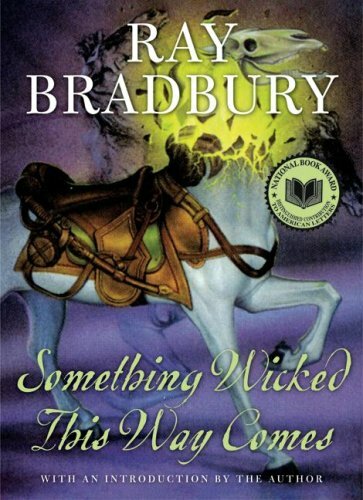 Ray Bradbury, Something Wicked This Way Comes (New York, NY: Avon Books, 1962, 1997), 135. Italics from the original. 30. Buechner, The Clown in the Belfry, 99. 31. See James William McClendon, Biography as Theology: How Life Stories Can Remake Today’s Theology (Portland, OR: Wipf and Stock, 2002). 32. David F. Ford, “System, Story, Performance: A Proposal about the Role of Narrative in Christian Systematic Theology” in Why Narrative? Readings in Narrative Theology, eds. Stanley Hauerwas and L. Gregory Jones (Grand Rapids, MI: Eerdmans, 1989), 194-196. 33. In Hebrews 11, the writer of Hebrews frames faith as a biographical rather than purely doctrinal apprehension—a look to the embodied lives of faith of the patriarchs and prophets of old that have created a tradition of lived faith upon which we now stand. This great “cloud of witnesses” provides a depository of faith that we are reminded of and hence re-membered by, pulled together and woven into the tapestry of their stories lived through us. 34. Niebuhr, “The Story of Our Life,” 35. 36. Eugene Peterson, Reality and the Vision, ed. Philip Yancey (Waco, TX: Word Publishing, 1990), 20. 37. Paul Ricoeur represents one of the great philosophers of identity formation that is able to draw together both modern and postmodern traditions through his narrative location of personhood. 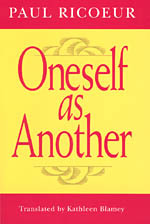 Key texts for reflection upon Ricoeur’s work include Oneself As Another, trans. Kathleen Blamey (Chicago, IL: University of Chicago Press, 1995); Time and Narrative, vol. 1-3; especially vol. 3, trans. Kathleen Blamey and David Pellauer (Chicago, IL: University of Chicago Press, 1990), and Memory, History and Forgetting (Chicago, IL: University of Chicago Press, 2006). 38. Excalibur (1981), directed by John Boorman. Internet Movie Database: http://www.imdb.com/title/tt0082348/quotes. 39. Buechner, The Clown in the Belfry, 309, 310.